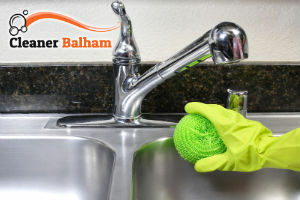 Our company is a cleaning services provider and we are known to be the best one in Balham SW12. We have been around for many years and we have enriched our knowledge and experience. And we feel confident enough to say that you will not find a better cleaning service anywhere else in town. We have helped, and are still helping, our hundreds of regular clients with their cleaning needs. Our cleaners always go out of their way to achieve maximum results and leave our clients satisfied. Give us a call if you need professional cleaning service as well. Our company guarantees you excellent cleaning service, performed by professionals with a vast experience in the field. We are available for regular cleaning sessions – daily, weekly, bi-weekly, monthly, etc. Give us a call soon and you will understand how convenient and customisable our cleaning service is. We have designed our services and prices in a way that they are comfortable to everyone, because we want to help as many people as possible. So hurry up and give us a call, hire our professional cleaning service and enjoy your clean home for a very practical price. Our cleaners will vacuum the carpeting, wash the windows internally, wipe down all surfaces, kitchen appliances and drawers, they will remove cobwebs, mop and dust thoroughly. You can count on our cleaners to clean your mirrors perfectly and sanitise your bathroom and toilet. Our company guarantees you, there is not any other company that will give you such a convenient cleaning service, for such a fair price. Call us right away and get the best professionals in SW12 to help you with your cleaning.